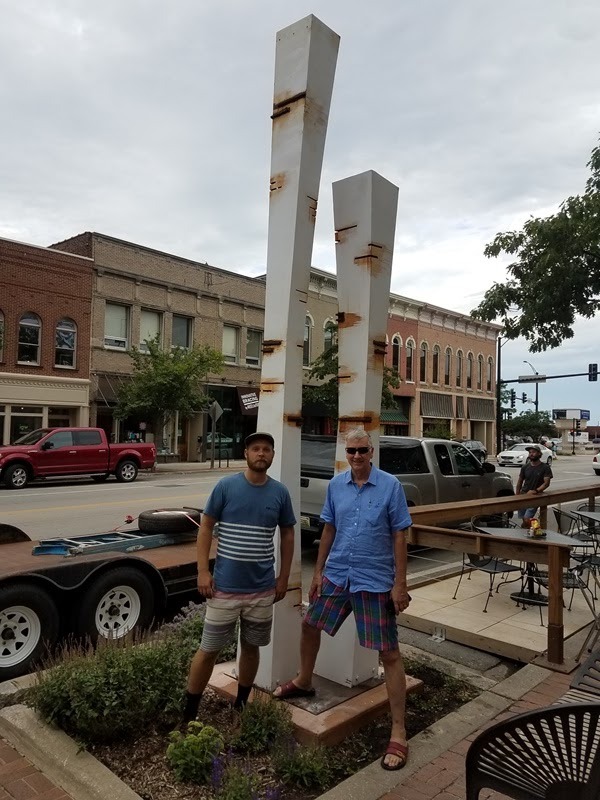 The Public Art League is proud to welcome "Peek Between Trees" by artist Mark Krucke (Sarasota, FL) to Main Street in Downtown Urbana (by Crane Alley). About the sculpture, the artist states: "This piece is about human curiosity and discovery. This pair of tree-like trunks creates a negative space that forms a peak when viewed from certain angles. The peak is also very much part of the sculpture." 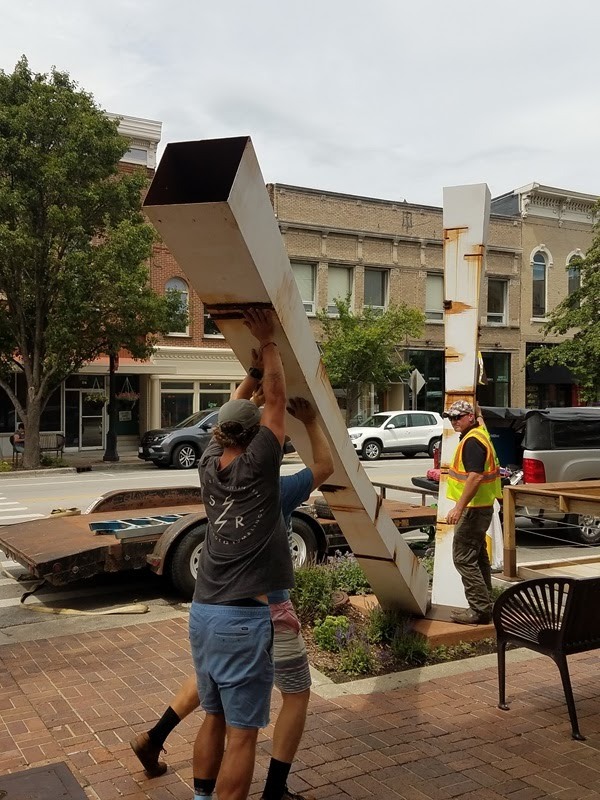 Thank you to MCDJ, LLC for their generous sponsorship of this sculpture. 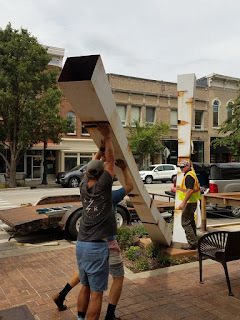 Installation of "Peek Between Trees"